When Associate Professor Roger Rassool first met Francis in a regional hospital in Western Uganda, the eight-month-old baby boy could barely move. His breathing was shallow and his body weak with pneumonia, the world’s biggest killer of children under five. Two days later, Francis had made a complete recovery. Associate Professor Rassool saw him sitting up and smiling at his mother and grandmother. Francis wasn’t the beneficiary of a fancy new drug or novel cure. The treatment that saved his life was oxygen, delivered via a University of Melbourne-designed device called FREO₂ LPOS (Low Pressure Oxygen Store). The key to helping Francis was that LPOS can operate without electricity in places as remote as regional Uganda, where electricity can be intermittent or rare. In July, 2018, doctors and nurses at Mbarara Regional Referral Hospital first used the treatment on Francis. 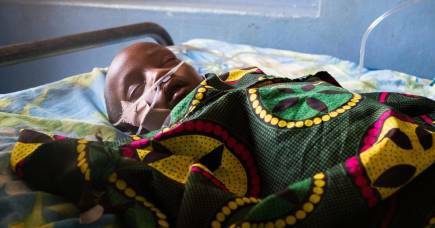 In the months since, they have used LPOS to treat more than 100 children. It sounds simple – treating people with something that’s already in the air we breathe – but LPOS is the product of years of experimentation and innovation. It all began in 2010, when Associate Professor Rassool and University of Melbourne physicist Dr Bryn Sobott went along to the No Limits symposium organised by Associate Professor Jim Black at the Nossal Institute for Global Health. It was here that they learned a staggering fact. “I would have thought that to reduce meaningfully a major killer of children you would need a large company with a multi-billion dollar production line and all of that infrastructure,” he adds. Oxygen is in the air around us, of course, but converting it into a state that can have an impact on our health isn’t quite so straightforward. 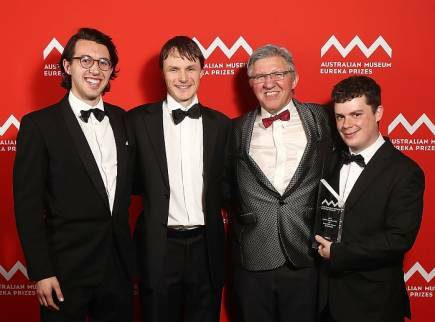 In 2011, Dr Sobott and a team that included Associate Professor Rassool, Associate Professor Black and Dr Dave Peake, then a PhD candidate in accelerator physics, started experimenting with an oxygen concentrator from St Vincent’s Hospital in Melbourne. The device takes in the surrounding air and removes nitrogen, concentrating an oxygen gas to be delivered directly to patients. Medical-grade oxygen gas is already used in hospitals as treatment for people with a range of breathing issues. The team knew, however, that they wanted their device to be used in low-resource communities where there might be little to no electricity to power an oxygen concentrator. 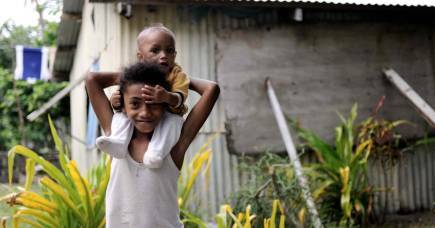 Solar power with battery back-up didn’t provide an immediate solution because pneumonia mortality in some communities rises during the wet season when sunshine is scarce. And, as anyone with a mobile phone knows, batteries lose their efficiency over time. The team worked nights and weekends on the project until 2013, when they received their first Saving Lives at Birth grant, partially funded by the Bill and Melinda Gates Foundation, Grand Challenges Canada, UKAID, Norad and USAID, which helped them ramp up their research. They eventually developed LPOS, a low-pressure oxygen storage system that stores oxygen locally for supply during power cuts. It doesn’t require electricity or a pump, and it’s easy to run and maintain. 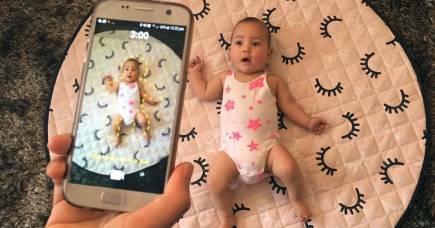 “You may have a traditional oxygen concentrator – which looks like a little air conditioner plugged into the wall – but when the power goes off, within seven minutes, kids can start dying,” Dr Sobott says. Instead, LPOS stores excess oxygen, which can be used when there’s no electricity. It turns on automatically when the power goes off, so nurses don’t have to worry about their patients’ oxygen supply. Through a specially designed computer program, the Melbourne team can also monitor the oxygen consumption rate of patients, and whether the machine has had to use its backup power source, from thousands of kilometres away. Data is sent back to Melbourne every 20 minutes. 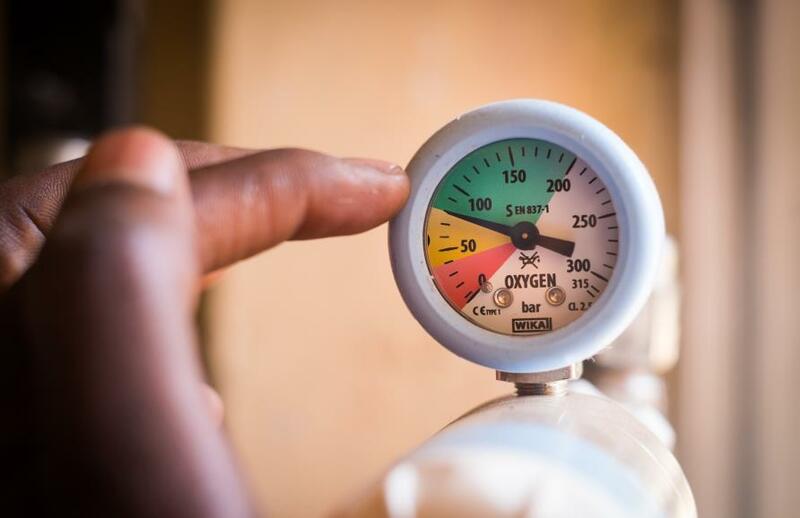 Oxygen can be used to alleviate a range of conditions, from malaria to anaemia, so the potential for LPOS to save lives is huge. While physicists don’t have a reputation for humanitarian work, says Associate Professor Rassool, he and Dr Sobott have worked together previously on landmine detectors. Both highlight that the University of Melbourne gave them the space and time to test prototypes over six years. It has also made it easier for them to approach experts from other disciplines, like medicine and finance, even plumbing. 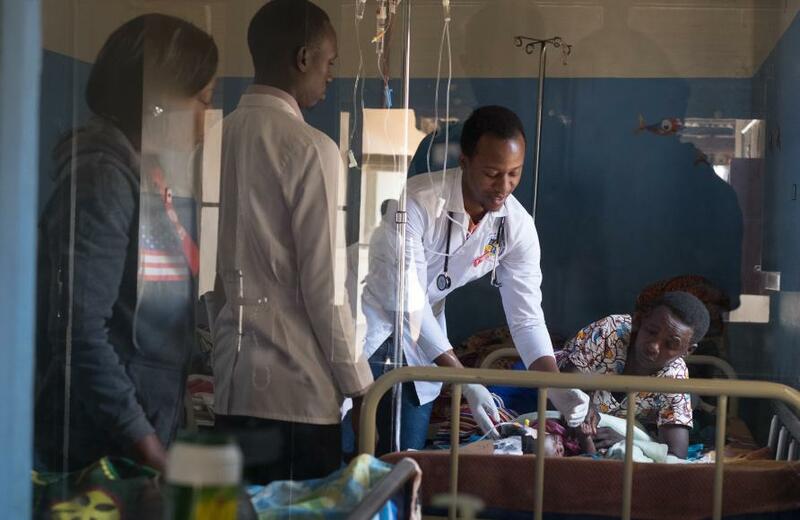 The University’s connections also extended to Uganda, where the director of the hospital caring for baby Francis, Dr Celestine Barigye, has a Master’s degree from the University’s School of Population and Global Health. The FREO₂ Foundation established by the University of Melbourne team has grown to include five people working on the ground in Uganda – their role is to maintain the system, test its effectiveness and eventually create local businesses. 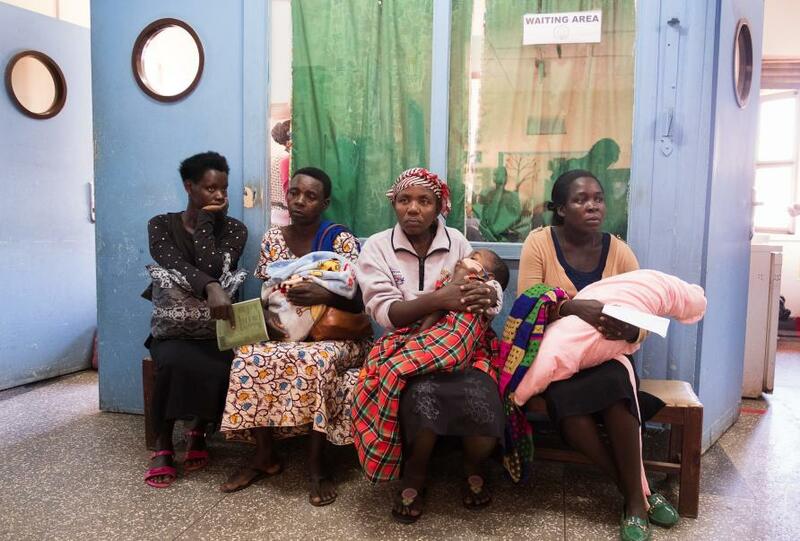 Though the Melbourne team is tracking the success of the technology on-site in Uganda, they want LPOS to be adopted and used by medical staff in ways that best suit them. They hope to scale up LPOS to 30,000 clinics in Africa, south-east Asia and other areas where the threat of pneumonia is greatest. 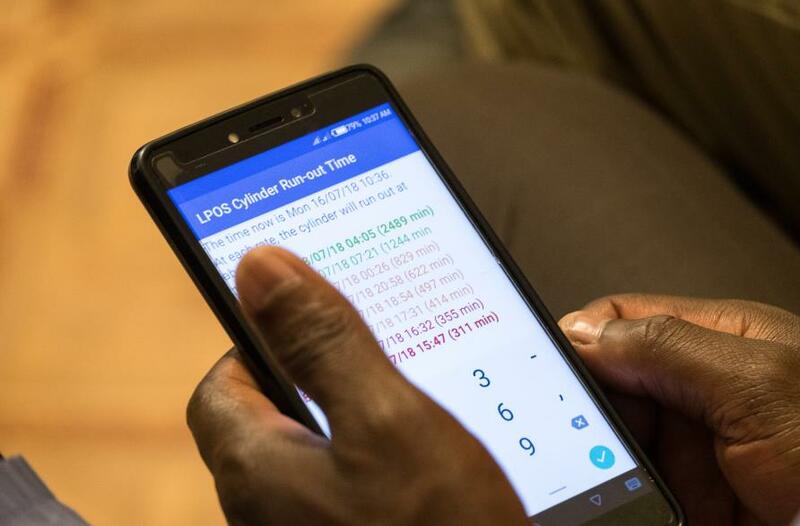 In addition to the team in Uganda, the FREO₂ Foundation has been working on delivering systems to Kenya, Tanzania, Papua New Guinea and Nigeria – working to make it a technology that as many people can use as possible. “We want to make it so natural,” says Associate Professor Rassool. “So our innovation? A tap on the wall. You turn the tap on, and the oxygen comes out of it. Remove the nurses and doctors from having to go find the machine, try to plug it in, try to plug the kid in. You can make a donation to FREO₂ here.